worldwide. We manufacture glass for Commercial and Residential construction. We are one of the most recognized leaders in this industry. We specialize in the fabrication of Bullet Resistant, Blast Resistant and Hurricane impact glass, as well as our newest product line: SAF-GLAS FBH (UL-9 ONE-Hour Fire Rated) Blast and Impact Resistant glazing. The SAF-GLAS product line includes: hurricane, earthquake, bomb blast, physical attack, bullet and fire resistant laminated glass. Founded in 1992, the SAF-GLAS product line has been utilized in a wide array of applications from high rise buildings to bomb blast test bunkers. 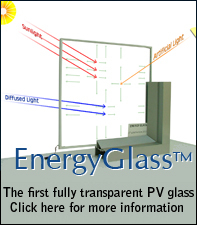 SAF-GLAS is a glass clad polycarbonate product. The make up consists of: annealed, heat strengthened, or tempered glass, SAF-GLAS patent pending bonding film and polycarbonate. * Configurations are available. Our sales and technical staff are available and ready to assist in the specific requirements needed to complete your project. The standard maxium size for SAF-GLAS is 60" x 120". Larger sizes available upon request. SAF-GLAS is also available in 8 standard colors: CLEAR, BRONZE, BLUE GREEN, GREEN, GREY, EVERGREEN ™ and AZURLITE ™.